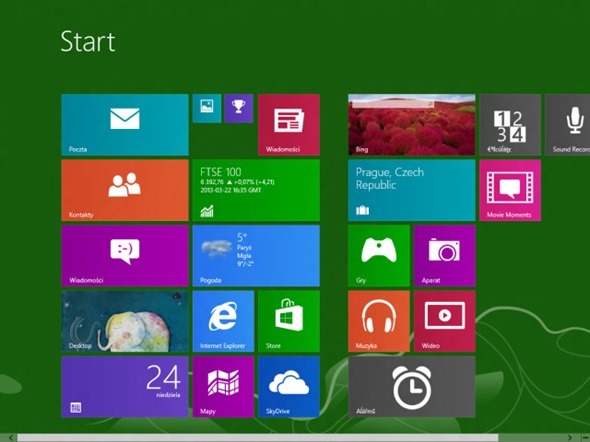 Since the release of Windows 8 last year, Microsoft has not stopped the development of Windows for a second. More evidence of an upcoming version of Windows, code named “Blue”, have emerged as a new build has leaked onto the Web. While the release looks overall similar to Windows 8, there have been quite a few changes that are worthy of note. According to previous reports on Windows Blue, this will be a largely minor release focusing on sharpening the rough edges that have kept users off Windows 8. Indeed, if the leaked screenshots and video look anything similar to the final release, Microsoft is largely focused on tweaking Windows 8 rather than revamping it once again. For starters, Control Panel has been improved, allowing more settings to be changed without the need to access the Desktop, which has been quite an annoyance for users of touch-screen computers such as Microsoft’s very own Surface. SkyDrive options, for example, can all be set outside of Desktop mode. 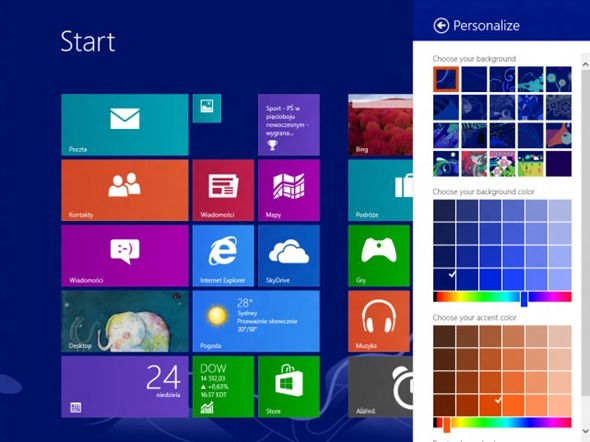 New customization options have been brought in, allowing users to set any RGB color as their screen background. 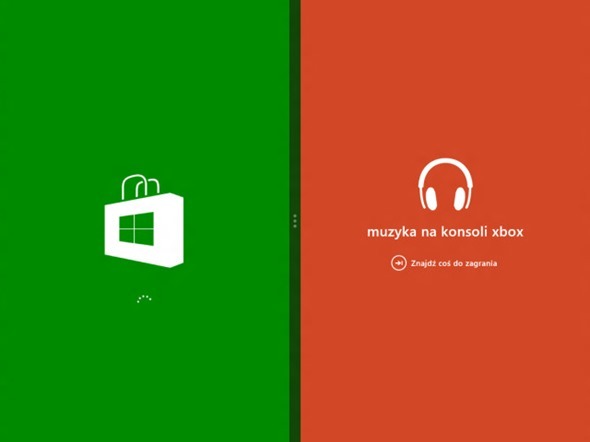 Some multitasking features have also been introduced from the main tiled interface, letting users “snap” apps to the side of the screen, allowing them to be used side-by-side with same width, much like Windows Snap from desktop mode. Up to 4 apps can be used like this, making it much easier for users to use different apps at once. 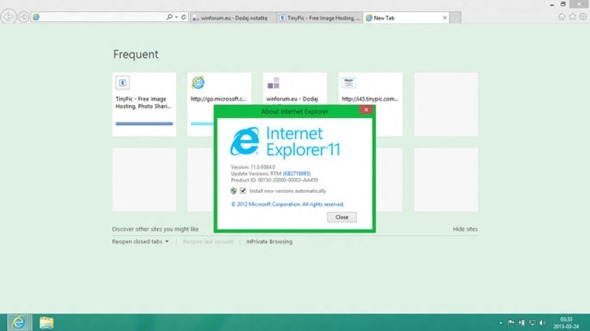 Internet Explorer 11 is built right in, as opposed to Internet Explorer 10 in Windows 8, which includes some minor engine and cosmetic changes. 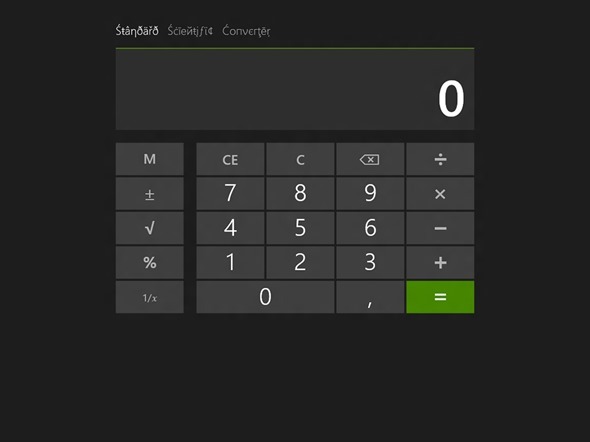 A new Modern-style calculator app has been added as well, along with an alarm clock. If early indications are to be believed, Microsoft is planning hit the ground running with this release, rushing through testing stages and deploy it to consumers sometime this year. This represents a significant release cycle for Microsoft, which usually upgrades its operating system every 2 to 3 years. The new strategy involves releasing smaller upgrades every year or so, similar to Apple’s OS X release cycle. Faster releases will allow the company to keep up with an ever-changing computer landscape. It is left to see when Microsoft will finally issue the first public build of Windows Blue and allow us all to get our hands on the goods.